Joshua Kimmich keeps his place in the Bayern side for Saturday's visit of Ingolstadt. 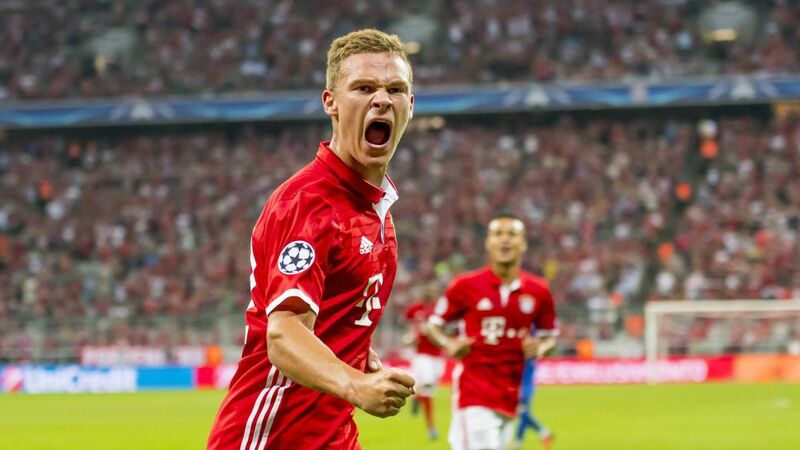 FC Bayern München's Joshua Kimmich will keep his place in midfield after scoring a brace in the 5-0 win against FC Rostov in the UEFA Champions League in midweek, while Kingsley Coman will also make his first start of the campaign at the Allianz Arena. First-team regulars Philipp Lahm, Thomas Müller and David Alaba all miss out through illness, but Arjen Robben and Jerome Boateng are included in Carlo Ancelotti's matchday squad following injury. New signing Marcel Tisserand should continue at the heart of the defence for winless FC Ingolstadt 04. Bayern's meeting with Ingolstadt kicks off at 15:30CEST/13:30GMT on Saturday 17 September at the Allianz Arena. Find out where to watch the game where you are by clicking on this link.